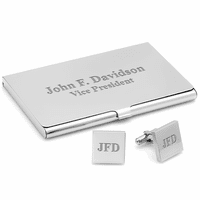 Made from solid polished stainless steel, this gift set features a business card holder and matching money clip that is the perfect gift for graduation or a job promotion! The French-fold style money clip holds 10 to 15 folded bills, and the business card holder can store up to 15 cards, so he will always be prepared when he meets a new client or business contact. 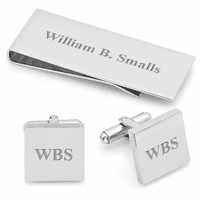 Both items can be personalized for free, adding a unique and elegant touch to your gift...and it comes packaged in a gift box that's ready for your celebration! 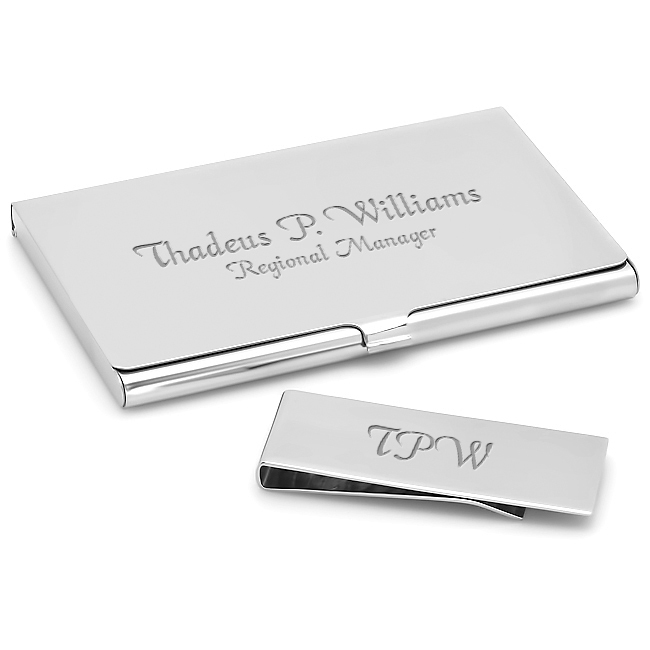 Money Clip Dimensions: 2 1/4" x 7/8"
Hi, I would like to do a traditional monogram on the front of the business card holder. By traditional I mean that the 2nd letter (first, last, middle initial) is bigger. So in my case, LBA.. I want the B bigger, how can I do that ? The engraving preview is messing up. Which line should I choose to have my name directly in the middle? We're so sorry for that, we are working to fix it. On our end, you're engraving will always be centered both left to right and top to bottom, no matter how it appears in the engraving preview. I sent to out of town colleague so I did not see it myself. He was very happy with it. Very easy ordering process and arrived as scheduled. Will definitely look here again for special gifts. 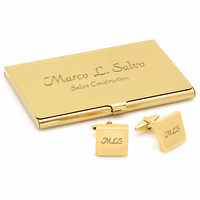 My husband loved this gift!!!! !